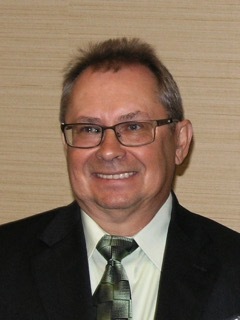 Dr. Thomas Barczak recently retired from the National Institute of Occupational Safety and Health (NIOSH) where he served as the Director of the Mining Science and Technology Division within the Office of Mine Safety and Health Research. In this capacity, he was responsible for managing the research effort including the extramural contracts program to fulfill the requirements of the Mine Improvement and New Emergency Response Act of 2006, which was intended to promote the application of innovative and enabling technologies to improve mine safety. This effort has successfully introduced technologies such as refuge chambers and communication and tracking technologies, which have significantly increased survivability from potentially disastrous mining events. Dr. Barczak has been involved in mining research for the federal government for the past 36 years working for the U.S. Bureau of Mines and the Department of Energy in addition to NIOSH. He is recognized as an international expert in the field of ground control, with over 100 publications on various ground control topics. He is most noted for his work in the design and testing of mine roof support systems, and served as the technical manager of the Safety Structures Testing Laboratory, which houses the Mine Roof Simulator. This complex load frame is designed to simulate the extreme weight and movements of the overburden rock masses, and as such is the most powerful and largest multi-axial load frame in the world. This world class facility provides unique capabilities to conduct research into roof support design and to evaluate new support technologies to ensure that they meet basic safety standards. Dr. Barczak has developed the testing protocols to accomplish these tasks and has worked to provide the mining industry with many valuable products to improve the health and safety of the nation’s miners. Dr. Barczak also serves as the Executive Director for the International Conference on Ground Control in Mining, now operating in its 32nd year as a premier conference promoting advancement of ground control engineering and practical solutions for ground control problems in the mining industry. Dr. Barczak has also authored 28 publications in this conference. Dr. Barczak graduated from West Liberty State College in 1975 with a B.S. degree in Physics and earned his M.S. and Ph.D. in Mining Engineering from West Virginia University in 2004 and 2005. He is an active member of the Society for Mining, Metallurgy, and Exploration. Technical Associate - Michael Silverstein, M.D., M.P.H. Michael Silverstein, M.D., M.P.H., recently retired from his post as the Assistant Director for Industrial Safety and Health in the Washington State Department of Labor and Industries after directing the state’s OSHA program for ten years. He is currently a Clinical Professor of Environmental and Occupational Health at the University of Washington School of Public Health. Dr. Silverstein previously held positions in the Washington State Department of Health as State Health Officer and Epidemiologist and spent two years in Washington, D.C. as Director of Policy for the Occupational Safety and Health Administration. For 15 years before this he was Assistant Director for Occupational Health and Safety with the United Automobile Workers Union in Detroit, Michigan. Dr. Silverstein has practiced family and occupational medicine in Michigan and California. He has degrees from Harvard University, Stanford Medical School and the University of Michigan School of Public Health. He is board certified as a specialist in occupational medicine. 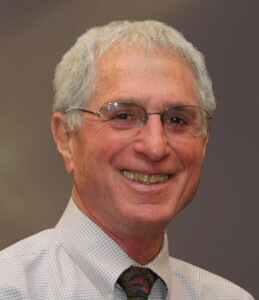 Dr. Silverstein has been an active member of several professional associations including the American Public Health Association, where he served as the Chairman of the occupational safety and health section, and the American College of Occupational and Environmental Medicine, where he was a member of the Ethics Committee. He spent two years as the Chair of the National Advisory Committee on Occupational Safety and Health (NACOSH). He has authored numerous scientific research and policy articles, including recent publications on the regulatory process, the aging workforce, the future of OSHA, and asbestos cancer risk assessment. Dr. Silverstein has served on several Institute of Medicine panels, including the Committee on Aerospace Medicine and Medicine of Extreme Environments, the Committee on NASA’s Research on Human Health Risks, the Committee to Review NASA’s Space Flight Standards, the Committee to Review the NIOSH Hearing Loss Research program, the Committee on the Health and Safety Needs of Older Workers, and the Committee on Health and Safety Implications of Child Labor, as well as the Transportation Research Board Committee on Offshore Windfarm Worker Safety. Dr. Warren H. Hunt, Jr. has been Chief Technical Officer at Nexight Group LLC, a collaboration consultancy headquartered in Silver Spring, MD since 2012. In this role, he provides strategic direction and consulting services for the company’s Materials and Manufacturing as well as Nonprofit Association practice areas. From 2006 through 2012, Dr. Hunt served as Executive Director of The Minerals, Metals & Materials Society (TMS), an 11,000 member international professional society serving the materials science and engineering field. In addition, he served two terms on the TMS Board of Directors from 1999-2005. In 1996, Dr. Hunt was the Founder and President of Aluminum Consultants Group, Inc., which provided technical consulting services to industry, government, and the legal profession. During this period he was recognized as a Fellow by ASM International, a materials professional society. He also received the ASM Pittsburgh Chapter Edgar C. Bain Award, presented the ASM Cleveland Chapter Zay Jeffries Lecture, and received the first Aluminum MMC Consortium Leadership Award. Dr. Hunt holds a B.E. (Honors) degree from Vanderbilt University along with M.S. and Ph.D. degrees from Carnegie Mellon University, all in materials science and engineering. Dr. David L. Belden joined the Alpha Foundation for the Improvement of Mine Safety and Health in December 2012 as the Foundation’s first Executive Director. In this capacity he had a significant role in developing the financial and organizational structure necessary for the successful operation of the Foundation. He retired from the foundation in August, 2014. In recognition of his contributions, he was recognized by the Alpha Foundation Board as “Executive Director, Emeritus”. 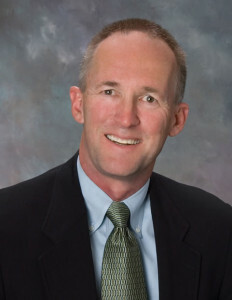 Dr. Belden in 2003 began serving as the Executive Director of the United Engineering Foundation, an organization founded in 1904 with a grant from Andrew Carnegie. He served on the Foundation’s Board of Trustees beginning in 1994 and as the President in 2002. Today, the primary mission of the Foundation is to support engineering and education by, among other means, making grants. From 1987 to 2002, Dr. Belden served as the Executive Director of the American Society of Mechanical Engineers, a technical and educational organization with 125,000 members. He is now the Executive Director Emeritus. It conducts one of the world’s largest technical publishing operations, holds more than 30 technical conferences each year, and is an industry leader in setting industrial and manufacturing standards. An ASME Honorary Member and Fellow, Dr. Belden headed a 400-person staff operation with ten offices throughout the United States. Additionally, he had operational management responsibility for the ASME Foundation, and served on its Board of Directors and Board of Trustees. Prior to joining ASME in 1987, Dr. Belden served as the Executive Director and member of the Board of Trustees of the Institute of Industrial Engineers, then a 43,000 member technical society headquartered in Atlanta. He is a Fellow of IIE. In 1976 Dr. Belden retired from the United States Air Force as a Colonel after a 22-year career. His assignments included service as Assistant for Procurement Management, Office of the Secretary of the Air Force, and Chief, Procurement Management and Plans Group, United States Air Force Headquarters. During an aircrew tour in Southeast Asia he completed 888 combat hours. Also, he was Chief, Production Division and Chief, Industrial Engineering Branch in the Air Force Plant Representative Office, Lockheed Missile and Space Company. Additionally he held assignments as Assistant Professor, Department of Systems Management, School of Engineering, Air Force Institute of Technology and Adjunct Professor, George Washington University and the Far East Division of the University of Maryland. His military decorations include the Legion of Merit, Meritorious Service Medals, Air Medals, and Commendation Medals. Active in Association Management, Dr. Belden served as President of the Council of Engineering and Scientific Society Executives, Chairman of the Board of the New York Society of Association Executives, and member of the Board of Directors of the American Association of Association Executives. A licensed professional engineer in California, his education achievements include the BGE from the University of Nebraska, Omaha; MSIE and Ph.D. from Stanford University; and an Honorary Sc.D. from Manhattan College.